This intensive and highly engaging one day Presentation Skills training course will show you how to prepare and deliver your business presentation with confidence and poise. You will learn how to make your message memorable. If you suffer from public speaking anxiety, our one day intensive Presentation course in Melbourne will help you gain control over those nerves. You will gain techniques to help you get your message across to your audience more effectively….. The course is delivered in-house for your company ……. When you have three or more staff who would benefit from this training, up to a maximum of six per group, then we come to your site in or around Melbourne. The course uses video feedback to provide you with coaching that will help you achieve intensive skill development. 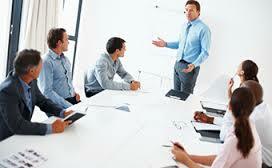 What does our Presentation Skills course cover?